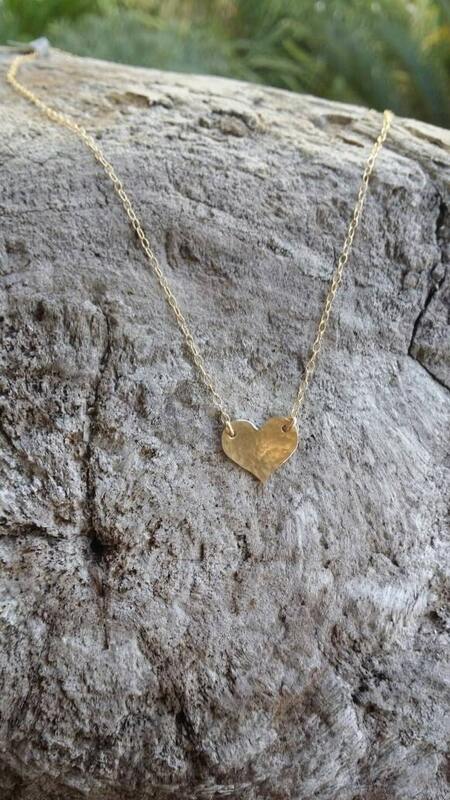 This small gold heart necklace is perfect for layering! 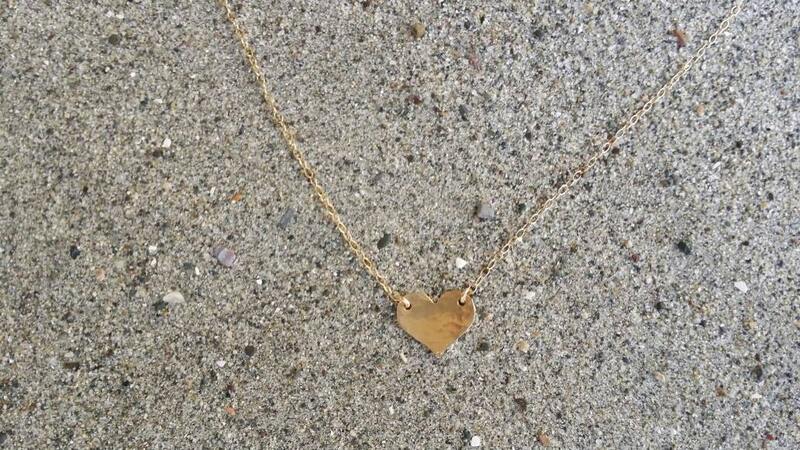 The 12mm gold fill heart charm is hammered to give a fun effect, and shown here hanging from a 16 inch gold fill chain. 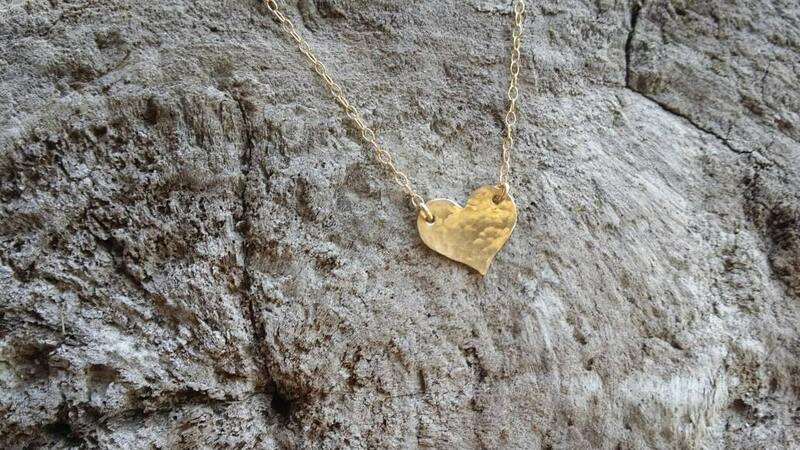 Can also be made in sterling silver. 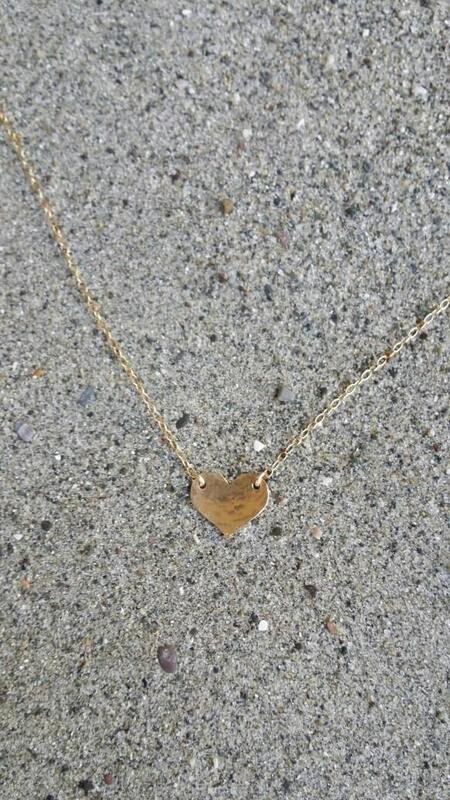 My daughter is going to love this necklace! The heart is rough around the edges, it irritates my neck. Adorable! 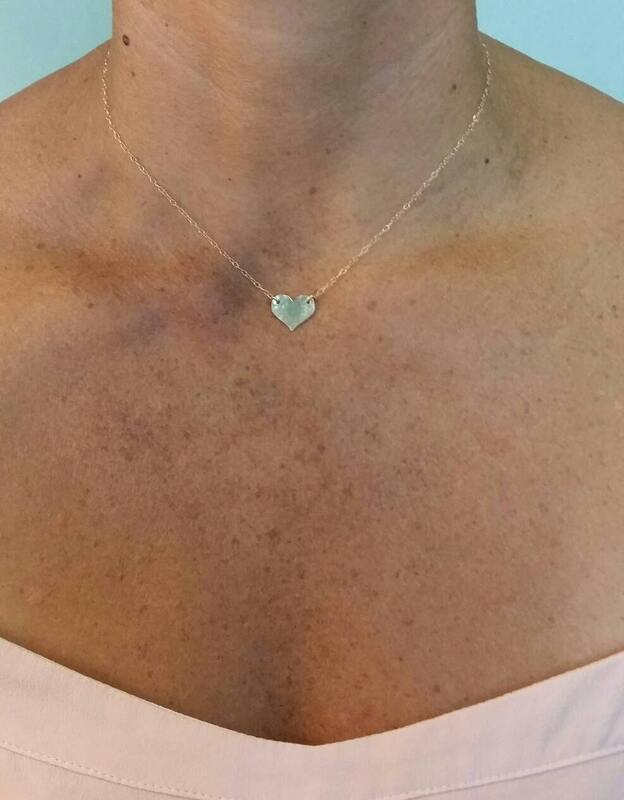 Perfect for a teacher's gift!